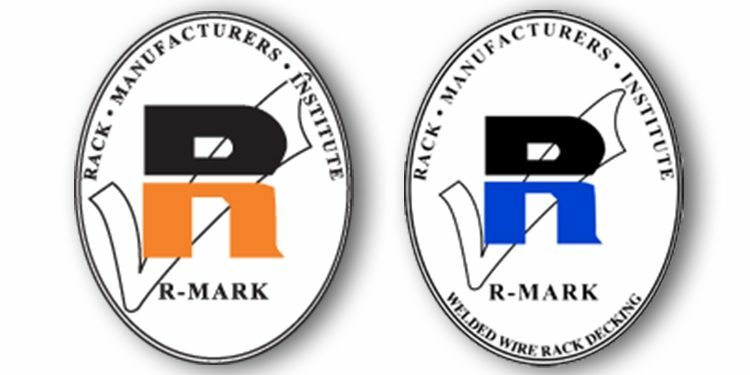 Why Are There Two R-Mark Certifications, One For Rack And One For Decking? 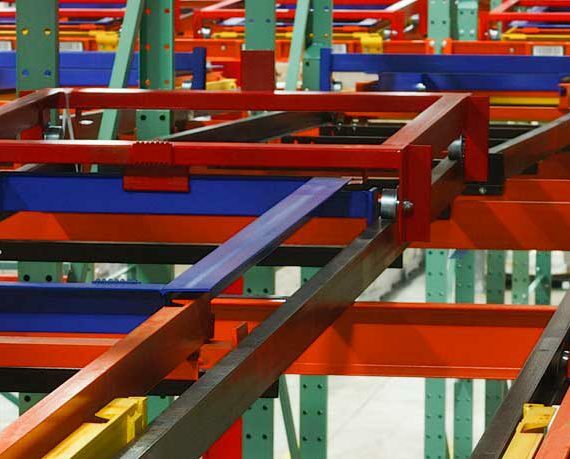 Offered as two separate certifications to manufacturers of industrial steel storage racks and of welded wire rack decking, RMI’s R-Mark assures storage rack users that the rack frame, beam and decking capacities shown in a unique design’s load table were calculated in accordance with RMI’s ANSI MH16.1-2012: Specification for the Design, Testing and Utilization of Industrial Steel Storage Racks or ANSI MH26.2-2017: Design and Testing of Welded Wire Rack Decking. In essence, users of R-mark storage rack and wire decking can be confident that their system will perform safely when properly designed, engineered and installed. 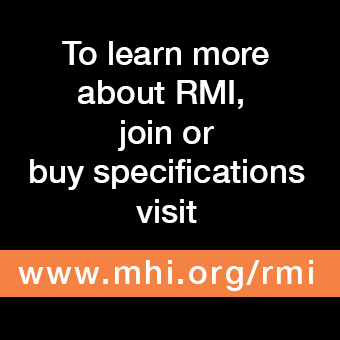 When the certification program was created in 1999, RMI’s members recognized that very few domestic manufacturers make both types of products. 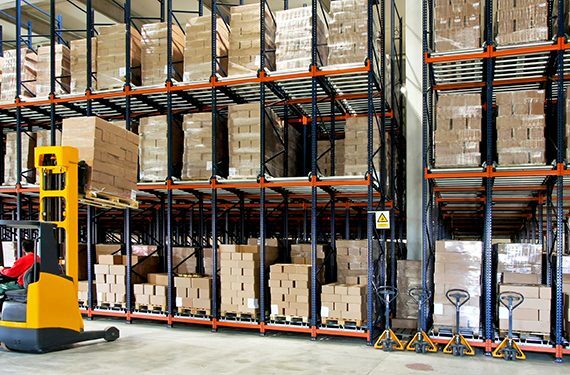 Indeed, welded wire decking is frequently considered an accessory to steel storage racks as it is used on pallet rack shelves to provide additional support for stored material and to serve as a safety net for unstable loads. 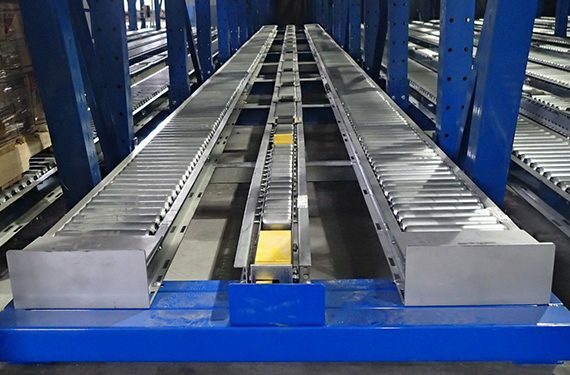 Further, because it is fabricated of welded wire mesh to a supporting structure of reinforcing channels or support wires, load calculations for wire decking are different than those used to design and engineer a storage rack structure. Although the load tables and calculations associated with each are different, the process of earning an R-Mark license is the same. 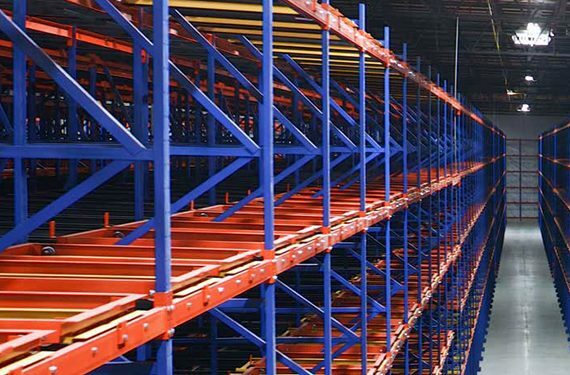 A manufacturer submits their design process—including testing, calculations and resulting component capacities—to an independent analysis performed by two registered professional engineers with experience and expertise in the design and application of racking systems. This review and approval procedure confirms that the calculations were performed in a manner consistent with the RMI/ANSI MH16.1-2012: Specification or the RMI/ANSI MH26.2-2017: Specification. Manufacturers who meet these requirements are awarded an R-Mark certification license, entitling them to display the R-Mark on any qualified product designed in the same manner. 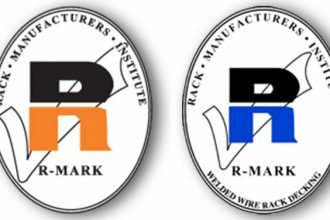 R-Mark certification gives users and owners of industrial steel storage rack and welded wire rack decking products the confidence that their rack and/or decking system’s manufacturer produces a product that meets RMI codes and standards. Regarding safety, one caveat: Given that every project is unique (load types differ, component structures can be assembled multiple ways, and seismic codes and requirements are variable), a manufacturer’s R-Mark certification alone does ensure a safe system. Rather, a rack owner must ensure that a qualified engineer reviews the design and calculations for each application to verify that the system design meets RMI design standards that are appropriate for a specific use and job site. 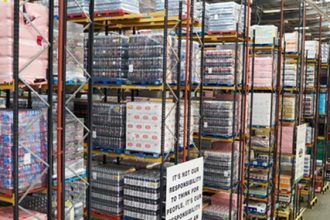 Is your welded wire rack decking or steel storage rack supplier an active R-Mark license holder? Find a complete listing of R-Mark certified companies here.